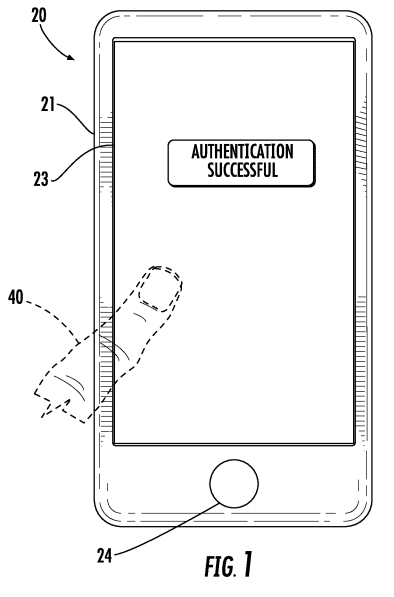 Apple was issued a patent for a fingerprint biometric touch screen – essentially a sensor or series of capacitive sensors built into a touch display – opening the door for the long rumored next generation of its Touch ID sensor. Though the design is certainly far more complicated, the concept is straightforward – allow the biometric to be read during normal interaction with the touch screen by removing the current dedicated sensor and instead layer it into the screen itself. This idea adds both convenience and security for the user as there is no longer a need for dedicated presentment of the fingerprint and it enables constant, or at least ongoing, authentication in the background. It also reclaims valuable real estate on the handset, as there is no longer the requirement for dedicated sensor space at the bottom of the device. This newly freed up space opens the door for another of the rumored Apple changes – a true edge-to-edge display. The patent titled, “Electronic device including finger biometric sensor including transparent conductive blocking areas carried by a touch display and related methods,” was originally filed in Jan. 2015. 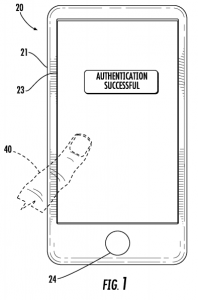 Its inventor is none other than Dale Setlak, inventor of the original TouchID sensor. Setlak is the co-founder of the pioneering biometric company, Authentec, which was acquired by Apple back in 2012. Post acquisition, he has continued to work for Apple, engineering biometric sensor advancements.